[UPDATE] So, it's confirmed: Resident Evil: Revival Selections will not be coming to the US. You heard me right, it's not coming to the US. Sadly, RE4 and C:VX will be coming to the States in their "HD glory" as downloadable titles via XBLA and PSN, not as a retail release. No word on pricing, but I'm assuming $15-20 each (that's too much for C:VX if all it's getting is update textures and not a new camera system like RE4), but expect them sometime during the fall. Check out Joystiq's image gallery, which I can tell you, RE4 did not look that bad, unless they took the 480p signal from the original, blew it up, and fuzzied/anti-alias the image next to a - hopeful - 1080p image. Note: I've been sitting on this post for quite some time now (since September 2009), believing it to be complete horseshit. However, with the recent rumor from Famitsu, I've grown the balls to finally post this. Kotaku is running a story about Famitsu reporting on Capcom releasing a compilation of Resident Evil 4 and Code Veronica on the 360 and PS3, calling it Resident Evil Revival Selection. Not much is said about it, other than it's existence, however, adding Code Veronica into that mix does confirm my tipster's last words (in the below section) saying a second Resident Evil game was being worked on/considered. Original Draft (September 5, 2009) : I received an email from an anonymous tipster in regards to a possible remake of Resident Evil 4 hitting the Xbox 360. Naturally, there wasn't much to this, but there were some key things that caught my eye. First off, the game isn't the breadth of a remake as you'd think (if you were thinking along the lines of REmake, keep wishing). It will be more along the lines of Sony's God of War Collection, where the core game will not be touched, only textures seeing an update (along with the staples of this generation: Achievements, leaderboards, etc.). 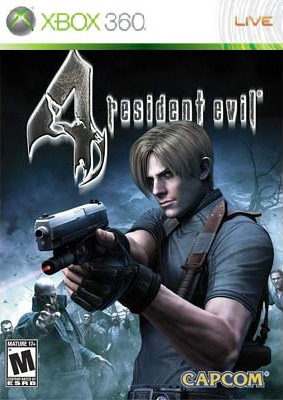 (S)he said that Resident Evil 4 will make it's way to the system in it's entirety, not a stripped down version; essentially, you're getting the Wii version with better visuals, but with the GameCube/PS2 controls. That means Separate Ways/Assignment Ada will be included. As far as anything else, there wasn't much in the email, other than "ZOMG. RE4 coming to 360." The tipster did say, however, that RE4 wasn't the only game in Capcom's library that was going to be "HD-ified", but didn't say what game. They did, at least, say it was within the franchise.